Picture this, you’re miserable in your current position; underpaid and overworked. Your work schedule and family responsibilities hardly leave time for updating that resume or writing out a brilliant cover letter. By some kind of miracle, you manage to do those things and you get an interview. It seems to go great and you’re waiting.. and waiting, and waiting for an answer. Meanwhile, the employer who is desperate to hire you is getting caught up with its third-party background screening vendor. While all of this is processing, your miserable job offers you a raise and you take it. You stay for another ten years, counting the hours as they pass and wondering what it was that took so long. As for that employer, they miss their chance to bring you aboard and have to start from scratch with a different, probably less-qualified candidate. Okay, we’re being dramatic, but this is not far off from what a lot of job seekers are experiencing. The fact of the matter is, the hiring process needs an update, and we’ve answered that need for the background screening process. Here are just a few benefits that come from using CandidateConnectTM; the newest and most streamlined offering in background screening. Our example may have been exaggeratory, but the anxieties of the job hunt are very real. A successful hiring process puts potential employees at ease from the get-go. It’s important that they feel their time and efforts are being considered by their prospective employer. Orange Tree offers the best screening experience for candidates because we want our clients to have the ability to hire the best candidates available, and the best candidates available will expect a seamless and professional on-boarding. We’ve expedited the screening process in order to increase candidate engagement, lessen their anxieties, and reduce time-to-hire. All of the anxieties of a job search won’t magically disappear, but by providing a simple and streamlined background screening, you’re able to ease just one of the many stressors job seekers feel. Roughly 77% of Americans now own a smartphone and that number is continuously increasing by the day. Although, that’s not entirely shocking, to be honest. Take a walk down the street and you may just get run over by a phone-absorbed pedestrian. Perhaps they’re checking their email or browsing social media, or perhaps, they’re applying for a job on their little black box. 28% of American adults have done so, according to a 2015 Pew Research survey. 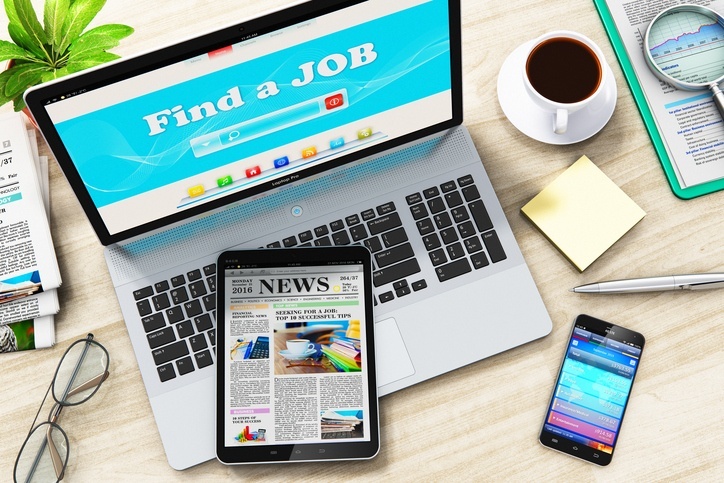 The job search has now passed the point of “going mobile”, it is mobile. Keeping up with this mobile-friendly trend is vital when seeking the best candidates. With CandidateConnectTM, the entire screening process; from uploading, to signing, to status updates, can be done from a smartphone. There is no need to ever open up a laptop, or check an email. Candidates can view their portal 24/7 from their phones and even contact us directly. Now that’s handy. The old standby, time is money has never been more applicable. In this market, the candidate experience is essential. With the US unemployment rate at 3.7%*, job seekers are running the show. CandidateConnectTM offers a time savings of up to half a day in the hiring process. Candidates won’t have to waste their time creating a login or inputting unnecessary information, and employers won’t have to waste their time waiting for a slow result to come in. This means a quicker turnaround of results and the decreased likelihood of having to prompt your candidates to complete the background check. Gone are the days of losing a potential employee to faulty and flawed processes. The job of a recruiter is to recruit. Their job description doesn’t include babysitting candidates’ information or checking errors from an inaccurate background screening. An effective screening solution allows recruiters and HR representatives to focus on seeking out and getting quality candidates through your doors. With our real-time updates and progress checking, hiring managers won’t be getting an influx of questions from candidates. Outsourcing the intricacies of a screening process gets you back on track to hiring great talent. Call us cheesy, but we love a good branding color scheme. Who doesn’t!? It creates customer recognition and is proven to give you a competitive edge in the market. When creating CandidateConnectTM, we considered these benefits and built-in the ability to use your branding and logo within the screening process. Showcase your brand right from the start and your potential employees will start to feel familiar with your brand before they’re even introduced to their new team. Consistency and familiarity only add to a great candidate experience, are you sensing a theme yet? Providing comprehensive background screenings require a commitment to simplicity. Does it sound like we’re contradicting ourselves? Hear us out. There are many aspects of a background check to consider; you must keep your customers' privacy safe, and comply with hiring law. You must have the ability to search multiple county, state, federal and national criminal record databases, and that’s just the tip of the iceberg. All of those aspects, however, should be taken care of by any best-in-class solution. All you should have to worry about as an employer is hiring the right people for the right positions. Our goal is to simplify the hiring process for both employer and candidate, so both can feel confident in their decisions. If you’re not yet convinced, check us out on social media or schedule a meeting with us!